If you’re looking for prices for Double Glazing in Southampton then look no further. 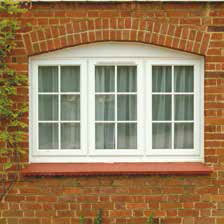 Victory Windows install high quality UPVC Windows, Doors and Conservatories across the city of Southampton. Discover the true cost of Double Glazing in Southampton by using our online quote calculator. 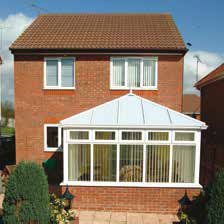 Victory Windows are Hampshire’s Premier Double Glazing installer. With over 25 years of experience within the industry we’ve installed thousands of Windows, Doors and Conservatories in and around Southampton. Have the windows you want. Choose from Rosewood, Irish Oak, White or Coloured UPVC. Add Georgian Bars for that authentic yet practical look and consider your openings. Do you have sufficient air flow for those warm summer months? Maybe you would like obscure, frosted or toughed Glass? Book an appointment with one of our technical advisors and they can help you turn your dream project into another successful double glazing installation in Southampton. Why choose Victory Windows for your replacement UPVC Windows and Doors? With thousands of Edwardian and Victorian style houses in Southampton there’s a high chance that you may have a bay window at your property. A Bay Window can add extra living space within your living area or bedroom and if used correctly can become a real feature within your home. However if your Bay Window is Southampton is wooden, over 8 years old or not using an Energy A-rated product it can be costing you money year on year on your heating bill. Click here to get an online price. 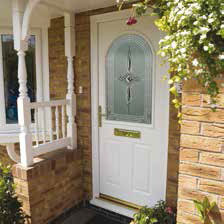 Our secured by design approved range of Composite Doors installed in Southampton can be made to your exact requirements. Add decorative glass, door knocker, spyholes, locking systems and letter plates. Your front Door is the first impression you make on any visitors that come to your property in Southampton. A Composite Door uses a variety of materials whilst a UPVC or wooden panelled door is made out of just one. A mixture of a hardwood inner frame, specially made thermally insulated foam, an inner frame and a UPVC finish ensures complete safety and security. Starting at £900, our exclusive range of composite doors are available using out online quote calculator.
" Victory Windows recently changed 7 windows, 2 bay windows, a back door and a composite door for a new property I won at auction. It’s completely improved the look of the house and we can’t wait to get moved in A Massive Thanks to Keith and his team on a job well done. " Allan Wyn-Smith, Emsworth Road, Shirley Southampton.